A set of three fantastic Practice, Practice, Practice! titles to boost math and English skills. Each book features 50 independent practice pages, which help kids master key learning areas and meet the NCTM Standards in math. 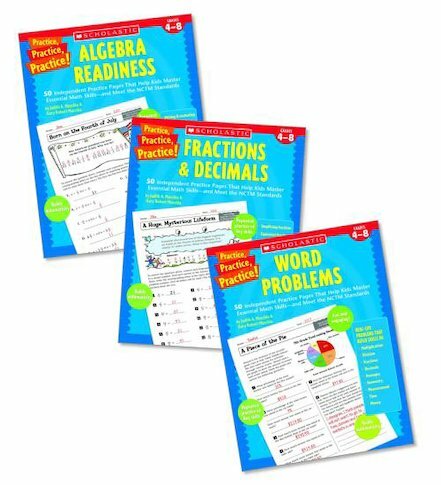 This pack includes Algebra Readiness, Fractions and Decimals and Word Problems.